Understanding the different types of worms in cats, along with their symptoms, can help a cat owner identify these signs early on and ensure they can provide the cat with treatment in a timely manner. An effective worm treatment for cats can be found at local pet stores as well as through vets and will help to eliminate the parasites from their bodies, ensuring they can continue to live a healthy life. First, let’s consider what exactly worms are and why you should be concerned if your cat has them. Worms is a term generally used to describe a parasite manifestation in the digestive tract of a cat. These parasites do not only affect cats, but can also affect other animals, including pet dogs, and some parasites may even work their way into the digestive tract of human prey. Different types of worms in cats have been identified, each causing specific types of symptoms and calling for appropriate treatment to expel the parasites from the cat’s digestive tract. The most common cat parasite  is most certainly the Roundworm, which may include the parasites Toxocara Cati and Toxocara leonine. Heartworms are much rarer than the other three types of worms that we mentioned here, but owners should still be wary of them as they can cause life-threatening complications in a cat. The majority of cats contract worms during their time exploring the outside world. These parasitic infections are far less common among cats who prefer to stay on the inside. 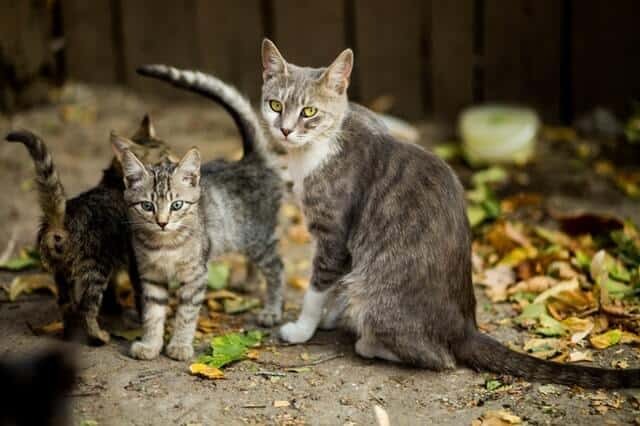 Why are outdoor cats more prone to infection? Because most of these worms are contracted in outside environments, where cats tend to pick them up from the feces of cats that have already been infected with a specific type of worm. In addition to a risk of contracting a parasitic infection that causes a worm to develop worms through the feces of an infected cat, note that these parasites can also be obtained from smaller insects. There are insects, such as snails, that can carry the parasite. When a cat decides to feast on that insect, they can then contract the parasite and get worms. Other types of animals that may carry these parasites onto a cat include fleas, slugs, and some types of rodents. In addition to these possible ways, kittens can also get worms from their mother . 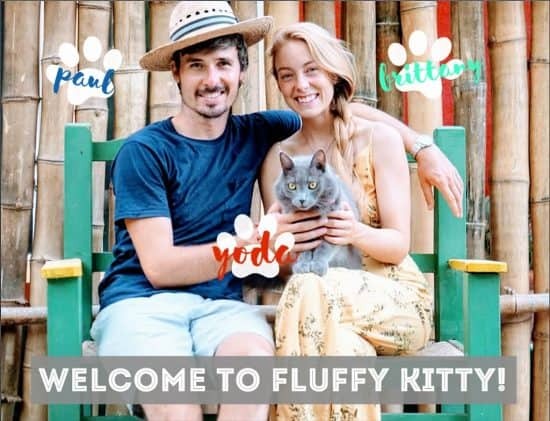 Close contact with the mother, such as when they are nursing, can cause parasites to infect the kittens, causing different types of worms in cats. Each of the parasites that can affect a cat tends to cause a series of unique symptoms in that cat, often because they affect cats differently. 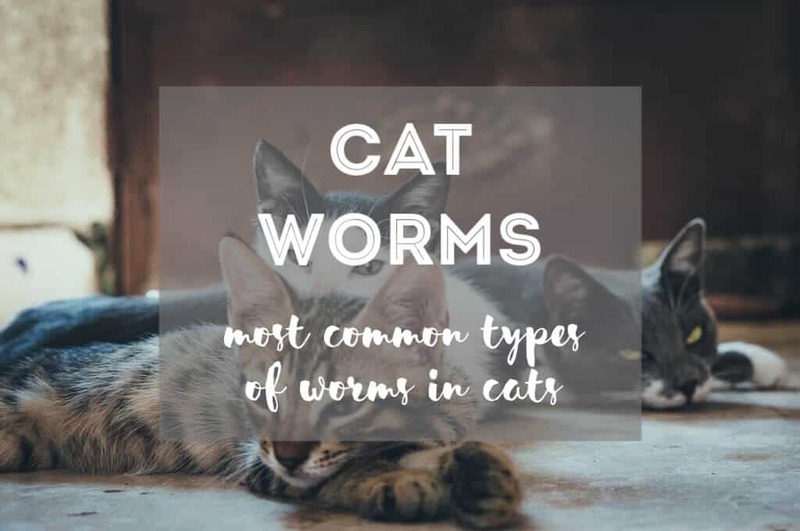 This is why it is important to learn about the different types of worms in cats, but also to educate yourself on the general symptoms that cats tend to experience. One of the most common signs of worms in cats would be visible segments of the worms in the feces of the cat. There may be cases where whole worms may also be present in the cat’s feces. Additionally, cat owners should also notice weight loss in their cat that cannot be explained. This should especially be concerning when the cat still eats the same amount of food they usually do. There are cases where the worms may cause more serious symptoms. For example, roundworms in cats can cause a blockage of the bowel, as well as pneumonia. Both of these conditions can lead to the cat becoming lethargic, and can also cause the cat to die eventually. This is why recognizing the symptoms early on is very important, as this will ensure the worms can be detected, diagnosed, and treated with the right medication to eliminate the parasites from the cat. Cat tapeworm symptoms often include a very sudden loss of weight. This can deprive the cat of vital nutrients that they require to live a healthy life. The nutrient deficiency that may occur can cause the cat to experience low energy levels and can also lead to a number of other potential health problems. The diagnosis of worms in a cat is an important part of the treatment process. Consult a vet to take a closer look at the cat, who will be able to tell the cat owner what type of worms the cat has developed. Understanding the type of worms that affect the cat ensures that the treatment provided would target the specific parasites, ensuring that treatment is more successful. The treatment for worms in cats is usually pretty much straightforward and very easy. However, treatment must be relevant to the specific type of worms that the cat has. When the wrong treatment is used, then it will not effectively eliminate the worms in the cat. For this reason, it might be a good idea to take a cat to a vet when it seems like the cat might have worms. The vet would be able to conduct certain tests and also examine the cat in order to determine what kind of worms they have. Once it has been established what worms the cat has, then the right type of treatment can be provided to the cat to ensure the parasites can be eliminated from their bodies. There are special treatment medicines used for roundworms, hookworms, and every other type of worm. When hookworm medication is used, but the cat has roundworms, for example, then the treatment will not work. Prevention is much better than having to struggle with the different types of worms in cats and having to treat them. There are a couple of ways that a cat owner can help to reduce the risk of their cat getting worms. Timely prevention will ensure that the cat will not have to face the potentially life-threatening complications that may occur when worms start to develop in their digestive tract. Preventing worms in cats is simple. The cat simply needs to stay away from other cats that may have parasites. Monitor your cat, if possible, when outside. Cats who spend most of their time on the inside of a house are far less likely to get worms. 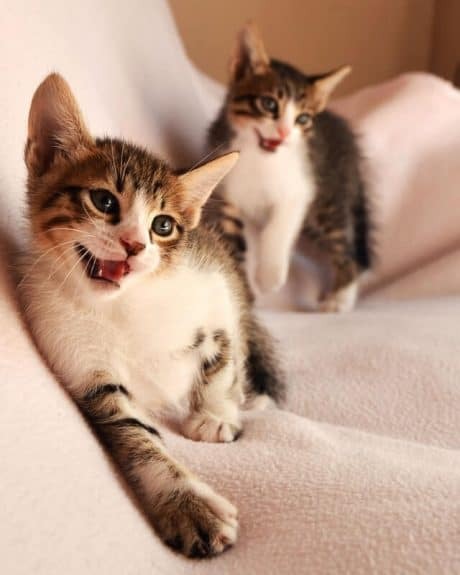 Furthermore, since ticks and fleas can carry parasites to a cat, it is also important to ensure that a cat stays free of these annoying insects . Monitor your kitty frequently in order to see if they might have ticks or fleas. If you take notice of fleas or ticks, then seek out an effective tick and flea remedy immediately. This can greatly reduce the risk of the cat getting worms. Yes, you can get worms from your cat. Cat owners remember: When a cat has worms, the parasites that cause the worms can pass from the cat toward humans . Meaning you are at risk of catching worms if your cat has worms too. So be careful! Roundworms are especially an important one that should be taken into concern. There are ways to reduce the risk of the different types of worms in cats to be transferred from the cat toward the owner. Hands should be washed thoroughly with a good hygienic soap, as this will help to eliminate parasites from the owner’s hand should they have come into contact with any objects on the cat where parasites are present. When working with the cat’s feces, the owner should also always ensure that they wear gloves to avoid coming into contact with the worms. Different types of worms in cats causes symptoms that can be unpleasant for the cat, but the good news is treatment is usually relatively simple. Understanding what signs to look out for ensures the owner knows when the cat needs to be checked by a vet. Even when no signs are present, a regular check-up can detect such issues before they become more serious. Next Post What Can a Hyperthyroid Cat Eat?